Liquidity risk in bonds may not be the top risk in investors’ minds, but with the sharp sell-off in bonds underway, it’s garnering greater attention. The Bank of Canada is also prepared to mitigate the risk. In Canada over the last three weeks, the 10-year government bond yield has spiked nearly 0.50 percent. The five-year government bond yield has shot up 0.35 percent. The corresponding move in U.S. Treasury bond yields is 0.35 percent and 0.25 percent. The German 10-year government bond yield is up nearly 0.50 percent since mid-April. The moves signal a number of things, from an improving economy in Europe, to deflationary fears rapidly disappearing as oil prices hit their highest levels since late last year, to investors positioning themselves for higher rates. But, to some extent, the trend higher in bond yields is magnified by the reduced liquidity in government bond markets. Markets for any asset are liquid if an investor can buy or sell large quantities of it quickly at a predictable price. In bond markets, the most liquid markets are those of sovereign government bonds, which benefit from many firms willing to buy and sell (market makers), large amounts of bonds issued (typically several billion dollars), and many other factors. We learned from the crisis that liquidity can be a fickle friend, and its absence can amplify financial distress. When markets are less liquid, changes in price and yield are amplified. 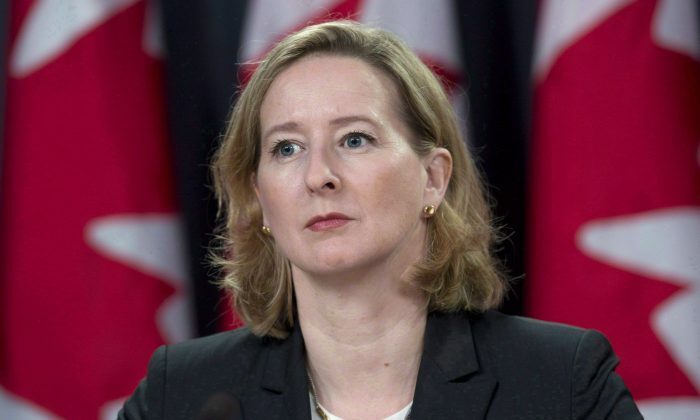 “I want the economy to have the right level of liquidity available at the right price so the financial system can keep working smoothly for businesses and households and the Bank’s monetary policy actions work the way they are supposed to,” said Bank of Canada senior deputy governor Carolyn Wilkins in a speech titled “Liquid Markets for a Solid Economy” given in Montreal on May 5. Another important factor for corporate bonds is the willingness of market participants to hold the bonds in inventory. Wilkins pointed out that corporate bonds are less liquid than in 2006, as the size of transactions has fallen and the bid-ask spread (difference between the seller’s asking price for a given bond and a potential buyer’s bid) is higher now. Banks have to hold sufficient high-quality liquid assets (mainly government bonds) to meet their needs in case they are unable to obtain funding during a period of severe stress in financial markets. “Further, financial institutions have become more risk-averse in general, going beyond regulatory requirements to build up cushions of high-quality assets,” Wilkins pointed out. While not the situation in Canada, other major central banks have embarked on large-scale government bond purchase programs to reduce long-term interest rates and stimulate the economy in response to the financial crisis. Official institutions such as central banks and sovereign wealth funds have also boosted their foreign reserve holdings. This has resulted in even fewer government bonds available for trading, creating reduced liquidity. The Bank of Canada is proposing to reduce the quantity of bonds it buys at government bond auctions to help improve the liquidity of newly auctioned bonds. Individual and institutional investors should be aware of the liquidity risk in some mutual funds and exchange-traded funds (ETF). As bond redemptions mount in the sell-off, asset managers could be forced to sell less liquid assets to meet the cash demands of investors. In the case of a panic, some ETFs backed by illiquid bonds could experience sharp price swings, which can turn into a vicious cycle as price drops are met with further selling. “It’s far from clear that all investors and savers appreciate the liquidity and redemption risks involved in some funds,” Wilkins said. Financial institutions will factor in the reduced liquidity and some portion of the higher costs will be passed onto investors and consumers. But that’s the adjustment these institutions have to make as the financial system adapts to changing regulations post financial crisis. “We learned from the crisis that liquidity can be a fickle friend, and its absence can amplify financial distress,” said Wilkins.